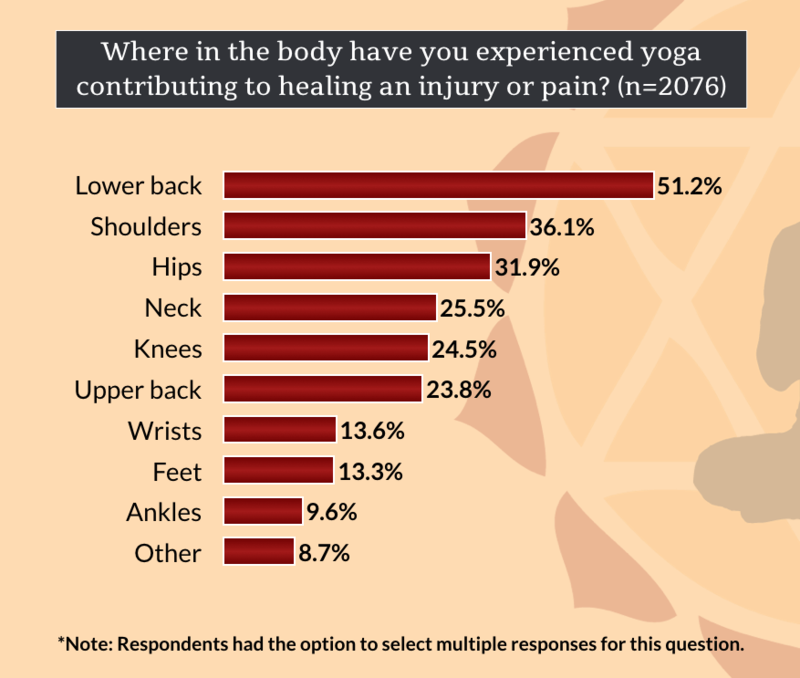 Based on our survey of over 2000 yoga practitioners, David shares practitioners’ experiences of yoga injuries and the contexts in which they happened. 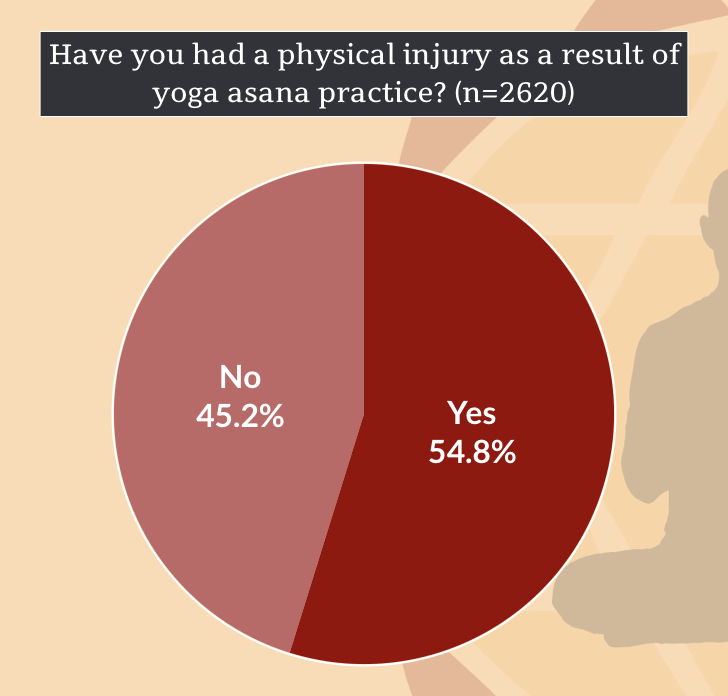 Based on our survey of over 2000 yoga practitioners, David shares practitioners’ experiences with types of injuries in yoga and the contexts in which they happened. 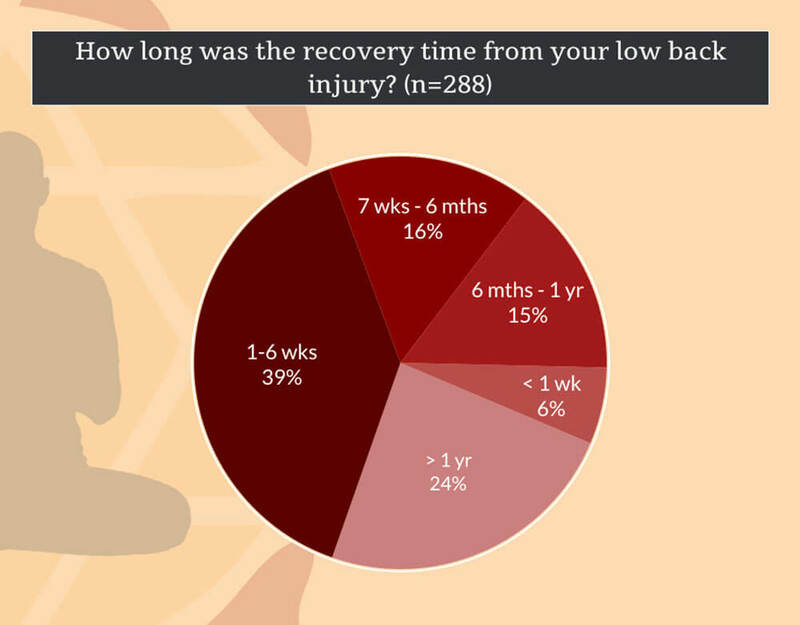 Low Back Injuries In Yoga: What Are Practitioners Experiencing? 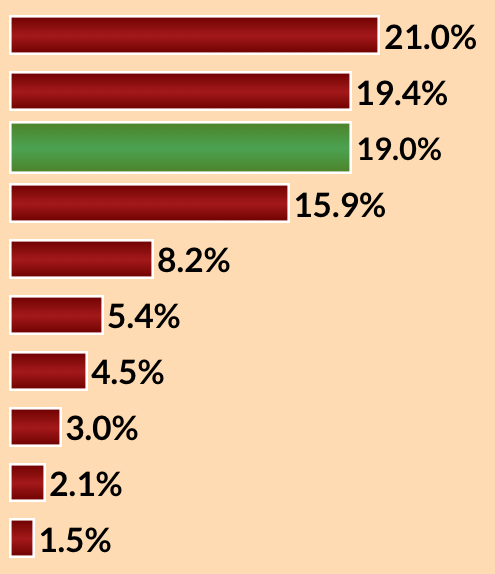 When are yoga practitioners most at risk for low back injuries? 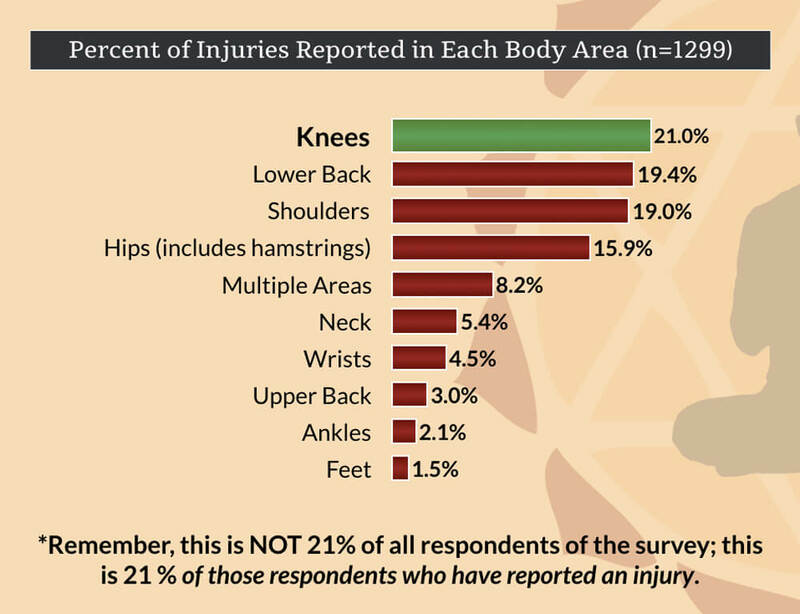 David reports on the experiences of our survey of 2000+ practitioners regarding low back injuries in yoga. Chaturanga and Shoulder Injuries in Yoga – What’s Going On? 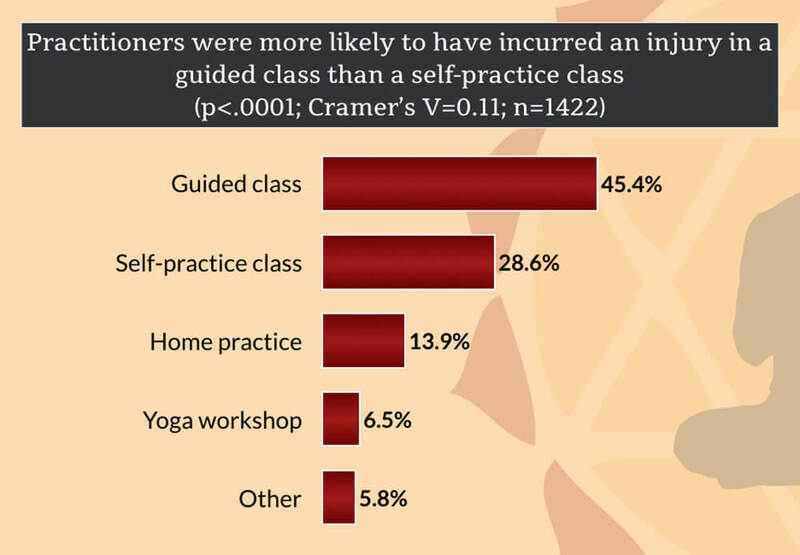 When are yoga practitioners most at risk for shoulder injuries? David reports on the experiences of our survey of 2000+ practitioners regarding shoulder injuries in yoga and chaturanga injury. Yoga and Aging: Is Yoga Practice Different As We Age? 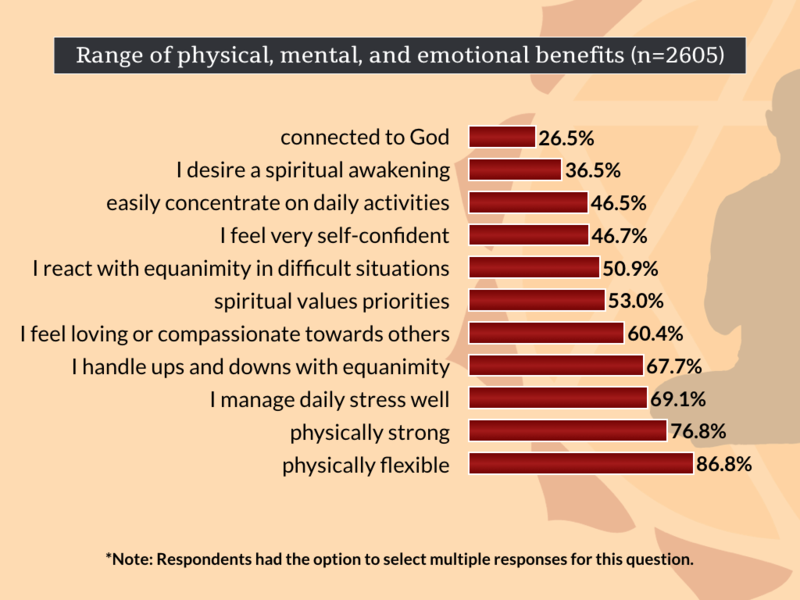 Does yoga practice change as we age? 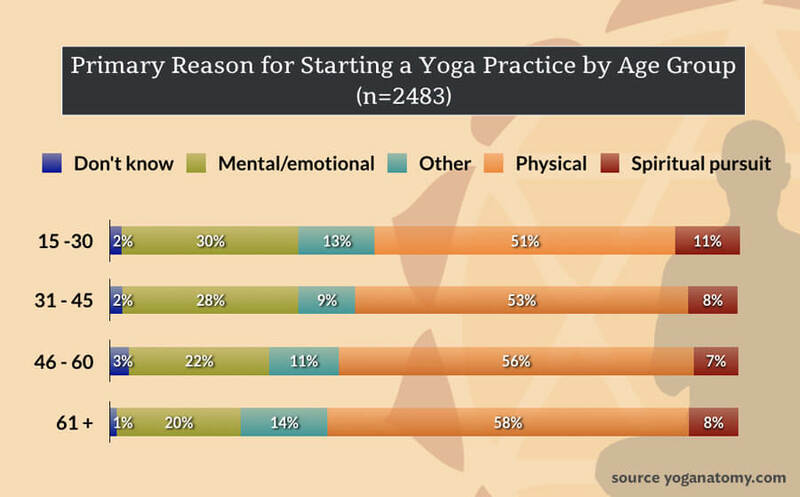 Our survey shows small differences between practice habits and experiences between some age groups, but yoga practice was less different between age groups than you might think!